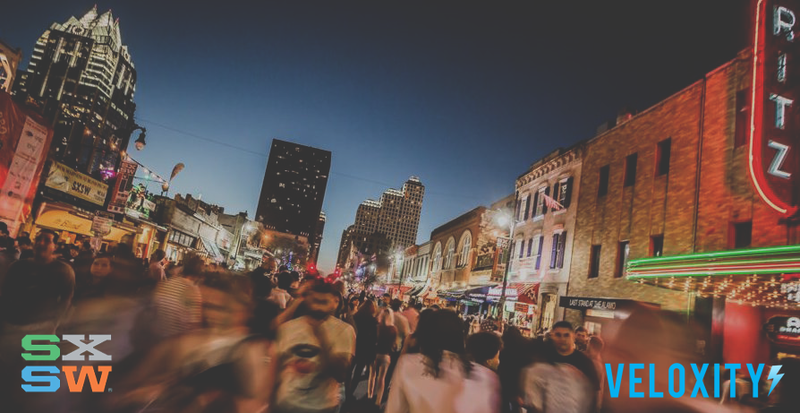 There was decidedly a ton to learn, see and experience at #SXSW2016. Attendees were able to charge their devices using Veloxity charging stations at the Austin Convention Center, the SXSW Trade Show Meet Up Pavilion and the SXSW 2016 Artist Gifting Lounge. And direct from Boston, the Veloxity team collected some memorable takeaways. He had a lot to say about digital privacy and security. Specifically, privacy trade-offs may be worth the extra security. Obama tried his best to make peace with the tech community, especially amidst the uproar over the FBI’s legal battle with Apple. The First Lady chatted with Missy Elliott, Diane Warren, and Sophia Bush. The session was moderated by Queen Latifah. The Keynote was co-presented AOL MAKERS. Samsung Electronics America, Inc. brought Galaxy Life to the South by Southwest (SXSW) Interactive Festival and wowed the Veloxity geeks with the Samsung Studio. The Samsung Studio experience offers fans access to exclusive events, unforgettable experiences, and special rewards for Samsung Galaxy owners. Plus, a new retail pop-up and chance to explore and enjoy Samsung’s collection of services, products and experiences, including the all-new Galaxy S7, Galaxy S7 edge, Gear 360 and Gear VR powered by Oculus. Let’s just say that the Veloxity team was awe-struck. McDonald’s unveiled “V-Artist” at the 2016 SXSW festival. Always hungry and eager to be happy, the Veloxity team had the unique opportunity to step inside a virtual Happy Meal Box and tried to be creative. At the McDonald’s Happy Meal experience during SXSW 2016, the Veloxity team learned that McDonald’s understands how collaboration is as important as convenience. Through VR Experience and the HTC Vive, it’s possible to create artwork and share via social media. In addition to the VR Experience, the introduction of self-servicing kiosks allow building and customizing food. Being a sponsor of SXSW alone makes McDonald’s start to transform its image to work with the tech ecosystem and their techie demos only helps this mission. The “everyone walks away smiling” experience is exactly what Veloxity charging stations provide. Boom! And, of course, there was Grumpy Cat. The Veloxity team and the Veloxity device charging solutions are always eager and ready to power up any event. Just ask!